Young Adult books never cease to amaze me. 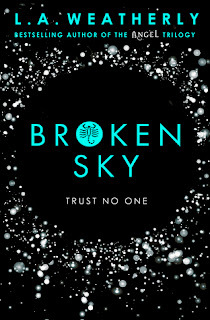 'Broken Sky' entices you from the first page: with it's fresh plot, and well defined characters. When an apocalypse forces the human race back to the dark ages, it makes them take much longer to get back to where they started. But a crucial element has been introduced: no more war. A neutral authority called War For Peace oversees any conflict between countries, in the most fair and justified way possible. Amity is a peace fighter pilot, who faces this conflict each day. She loves her job, (just as her father did), but you don't get to know much more about her, until she lets her guard down. Slowly, pieces came together to form what Amity was really like: it felt so much more real, and I loved that. Each of the character's stories connected so well; so nothing felt unnecessary or forced. Throughout the book, you start to see much clearer pictures of characters themselves, and their ties. The whole storyline had so many layers that fitted together nicely: leaving me feeling enthralled and immersed. 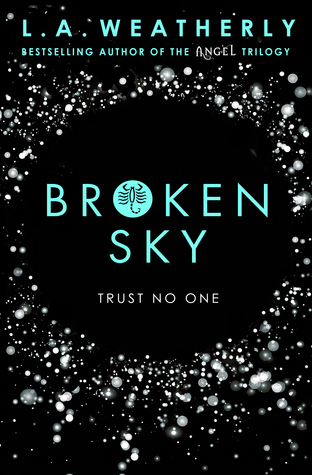 A firm 4/5: 'Broken Sky' is a very interesting concept, with a fantastic elements to the story, that leaves readers hanging on for more.